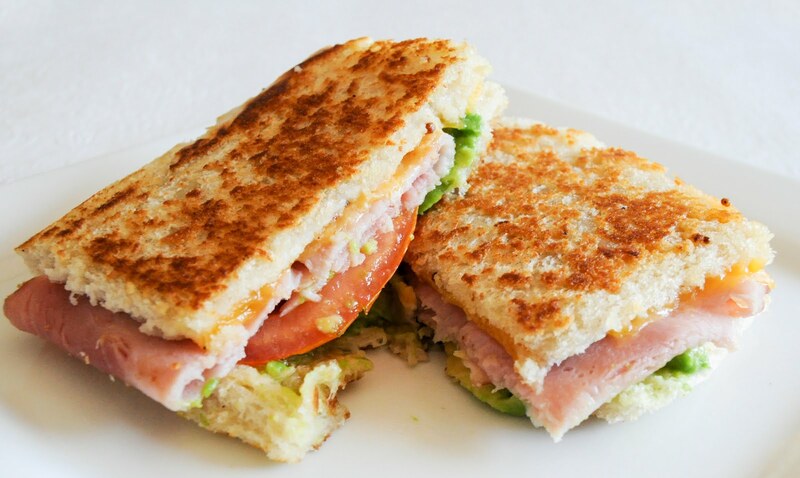 Grilled panini's are one of favorite lunch items to make. I like them ten times better than plain turkey and peanut butter and jelly sandwiches. Want to know the secret ingredient? Believe it or not it's not the panini press, they can be made without, it is fresh bread. I've tried to make panini's with bread from a loaf, but it does not work, it does not taste the same. It does not get as flat either. I really like using the avocado and stone ground mustard in the panini instead of regular mayonnaise and mustard. The avocado provides a spread inside, and is much healthier than mayonnaise and the stone ground mustard provides a depth of flavor with a hint of sweetness. 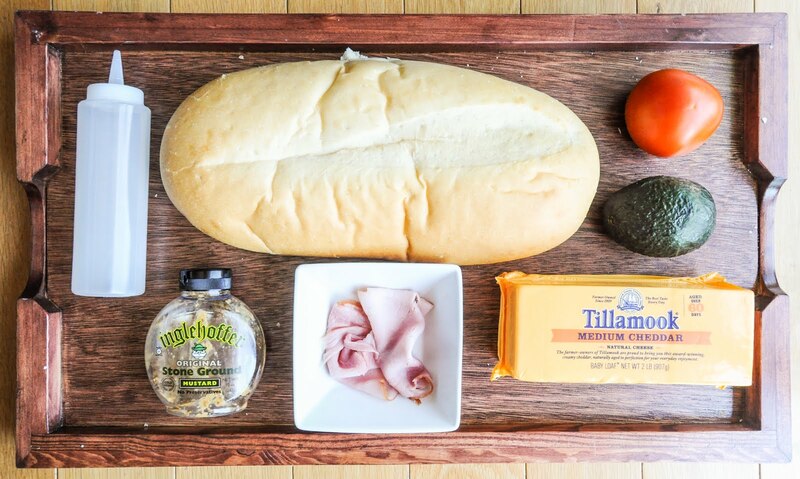 Slice the fresh bread into panini slices. Cut the loaf the width of the panini's. Cut four slices from the cut loaf. Slice and add the avocado on one side and spread the stone ground mustard on the other. Put on the cheese, turkey and tomato slices. Place the two halves together. Turn the burner on a cast iron skillet over medium heat. Cover the pan with a thin film of oil. This step is important, Using a pastry brush coat one side of the panini. When the pan is hot, the oil starts to smoke, place the coated side of the panini on the skillet. Coat the other side of the panini. Cook 3-5 minutes per side or until golden brown, pressing down with a panini press or a heavy pan. Enjoy! *Use canola oil or a high heat capacity olive oil, otherwise it will not brown well. 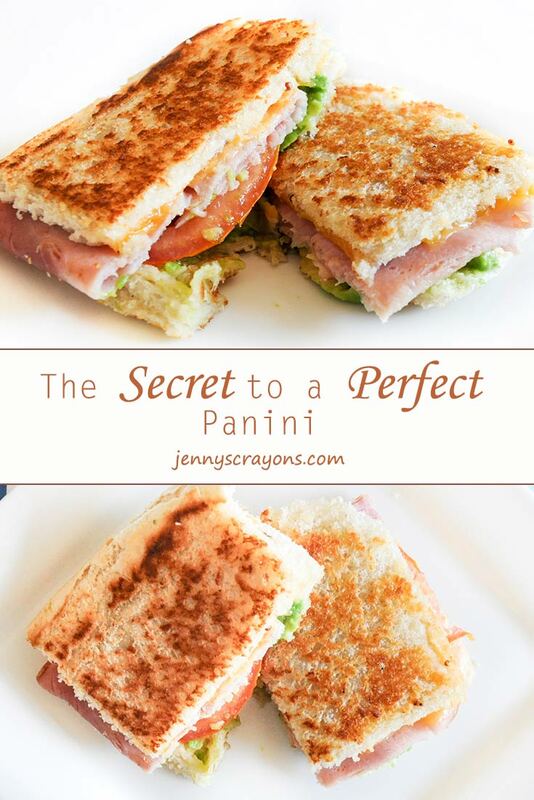 *If there is no panini press a heavy pan can work as a press.